Our multi-purpose string knit gloves come in various blends and weights. Economy, regular, and heavy weight gauge offerings are available. These gloves are suitable for general hand protection in light duty applications. 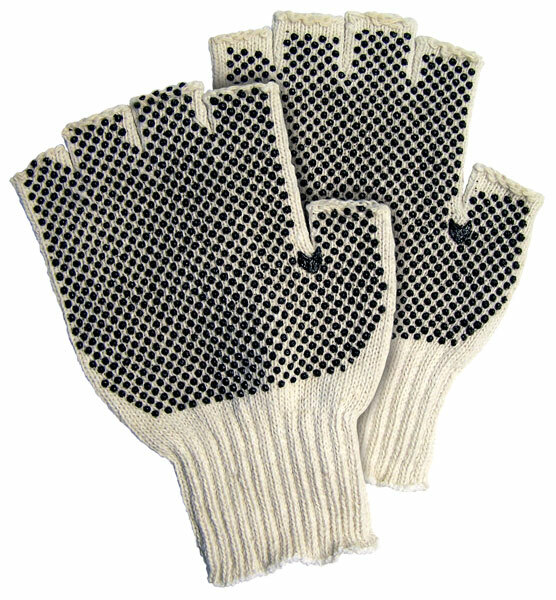 This series features a heavy weight 7 gauge natural cotton/polyester that has pvc dots on 2 sides and in Fingerless.